Walmart is the largest grocer by sales in the U.S. 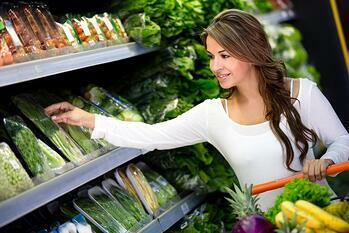 According to Packaged Facts, 59% of grocery shoppers have purchased groceries from Walmart in the last 3 months. To counteract rising competition from Amazon and other online retailers, Walmart has expanded its omni-channel experience with online ordering and in-store pickup. Packaged Facts estimates that Walmart’s “click-and-collect” grocery sales will grow a whopping 154% on average each year from 2017 through 2021. Consumers that shop for online groceries at Walmart are drawn to low prices, one-stop convenience, brand selection, and curbside service. However, competitors may be able to exploit Walmart’s weaknesses in the future as online grocery shopping becomes more commonplace. Walmart is not only a leader when it comes to grocery sales, it also offers the broadest array of consumer financial services compared to other major retailers. Financial services and related products generate about $1.6 billion in revenue, according to estimates by Packaged Facts. This number does not even include revenue made by Walmart’s partners, such as Green Dot, MoneyGram, Synchrony Financial, and Jackson Hewitt. However, the biggest payoff for Walmart may be the role of financial services in boosting store traffic. When shoppers visit in-store bank branches, for example, they are likely to pick up a variety of other groceries and merchandise at the same time. Another area where Walmart shines is in selling pet products. More pet owners purchase from Walmart than any other retailer, according to Packaged Facts. Of the 67 million pet-owning households in the U.S, 43 million shop at Walmart. When considering the sheer size of its customer base, Walmart has a significant lead over competitors such as Target, Kroger, and Costco, which only have a combined customer base of 35 million pet-owning U.S. households. 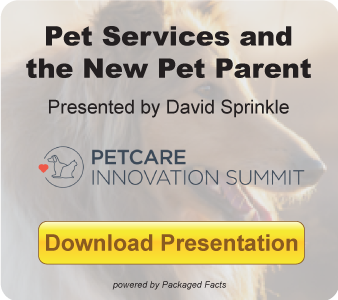 In addition, a significant portion of consumers are also purchasing more pet products from Walmart than they did a few years ago. What draws so many pet owners to Walmart? Packaged Facts found that price, convenience, and brand selection were top considerations for consumers. About Packaged Facts: For more than 50 years, Packaged Facts has been a leading publisher of market research in the food, beverage, consumer packaged goods, and demographic sectors. Packaged Facts’ clients range from CMOs and marketing managers of leading consumer brands, like Kraft and VISA, to industry consultants, ad agencies, and corporate librarians.